Home / Batting tips / Create a Lumber Jack Swing Like Evan Gattis! 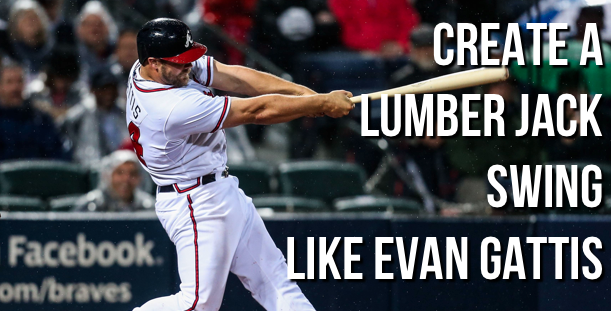 Create a Lumber Jack Swing Like Evan Gattis! You gotta love a good under dog story. Have you ever heard Evan Gattis’ story? You can’t make this up. Before becoming a big leaguer he was a janitor, ski lift operator and worked at a pizza parlor before hitting massive home-runs in the big leagues. Evan Gattis is a PERFECT example of a player who knows how to use his entire body to initiate bat-speed and a solid foundation at point of contact. In this video I’ll break down exactly what he does in his approach that has pitchers sweating bullets as he walks up to the plate. I hope this addition to the how to hit a baseball series helps you in becoming an overall better ball player. What do you think of Gattis’ swing? What kind of hitting approach do you have at the plate? I’d love to hear your thoughts on what you’re doing to become a better hitter. …Click below to get your hitting problems solved, increase your confidence & bat speed! Previous post: Using Baseball Role Models for Motivation. Next post: Why you should always keep your baseball goals a secret!